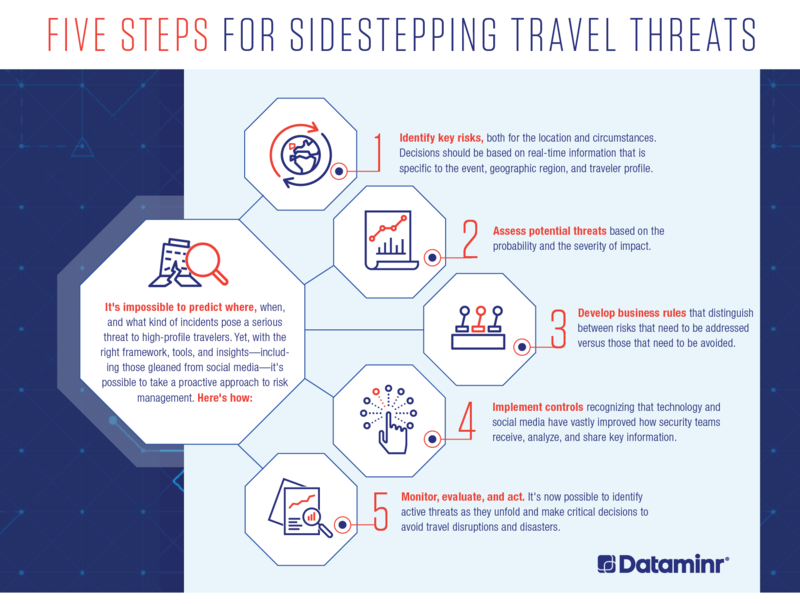 It is impossible to predict when and where travel threats will arise, be they terrorism incidents, extreme weather events, or street crime. 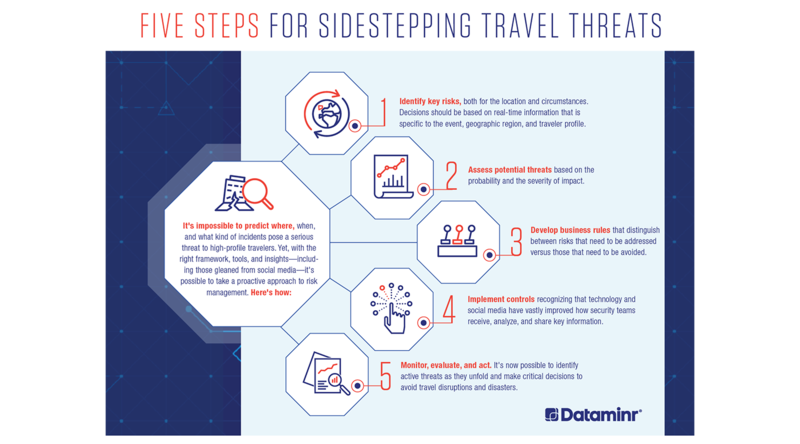 How, then, can you take a proactive approach to decrease threats to high-profile travelers? These five steps employ the right framework, tools, and insights to help keep employees safe. Corporate Security infographic on security without reservation. Corporate Security infographic incorporating banking on reliable information. Corporate security infographic on dealing with crisis.